Happy Birthday Take A Bite! 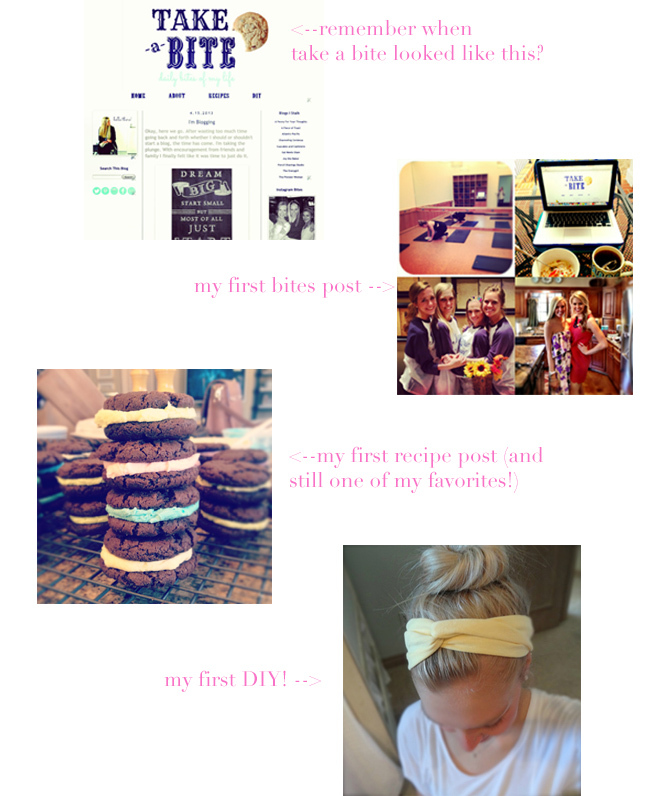 I have officially been blogging on for a whole year! Take A Bite is still just a baby, but I can't wait to watch it grow. Blogging has been a blast, a blessing and sometimes a burden over the past year. Out of my past 194 posts, I have done 46 Bites posts, various recipe and DIY posts, What I'm Listening To posts, Favorite Things posts and Birthday posts. Now its time to celebrate Take A Bite's birthday! Any good birthday deserves to be recognized so I am celebrating with a blog birthday breakfast. Sprinkle toast seemed just festive enough! Celebrate with me and take a bite into the past year! Thank you to anyone who has “takin’ a bite” over the past year! I don’t think you all know how much I appreciate your comments, kind words or ideas for the blog. It makes writing my posts each day that much more worth it.